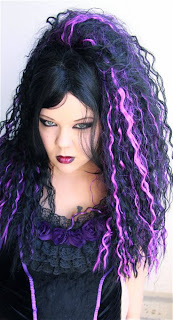 Makeup your Jangsara: Just like a Gothic Girl..
Just like a Gothic Girl.. 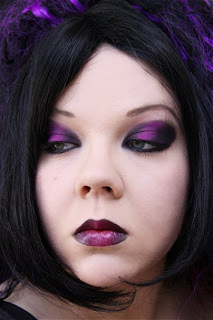 I used Gosh Waterproof eyeshadow Love That Ivory as a primer, Mschic matte fuchsia, matte black Grimas and MAC seedy pearl as a highlighter, Wet'n'Wild Megaliner. 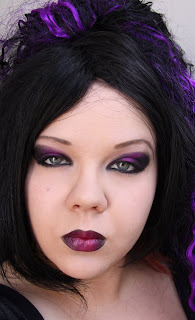 Lips: Gosh Velvet Touch Purple Passion and black kajal. Vau taas kerran. Varsinkin viimeinen kuva on aivan upea. Tiedätkö yhtään verkkokauppaa (ulkomaistakaan) josta noita Goshin luomivärejä saisi? also thanks for becoming a follower! Keep up the great work, you're gorgeous and you're really talented!! !